As Australians, we’ve always been very uncomfortable with who we are. Descendants of British settlers feel nervous about how Aboriginal people were treated (and to some extent still are). Aboriginal people feel uncomfortable because they have been made to feel like second-class citizens for a large part of our history (because they were). More recent immigrants are locked away in detention centres, despite our national anthem’s promise of having “boundless plains to share”. It’s no wonder, then, that when Australia Day rolls around, everybody gets a little bit confused. Nobody knows quite how they feel about giving out Knighthoods and Damehoods again, but we’re pretty sure they shouldn’t go to a racist old fart who isn’t even Australian. I feel personally that knighthoods are a great addition to the Order of Australia, and it’s good they are being given out again. However, they should be recommended by the Order of Australia Council with no involvement from the Prime Minister. Things like the Australian Flag should fill every Australian with a sense of pride in our country. Unfortunately, when I see it I feel a sense of shame, as it has become associated with racism and other forms of bigotry. It’s unfortunate that these things which should unite us instead tear us apart. A lot of people say we need to talk about who we are as a country. That usually means becoming a republic. That’s not going to help one way or the other. We need to make a lot of small changes, that together will make every citizen feel a part of Australia. Firstly, we need to live up to our promise in the national anthem: for those who come across the seas, we should share our plains with you. Being more civil to refugees should be top priority. We can’t treat people as sub-human any longer. These people are escaping terrible places. Why else would you get in a leaky boat and sail across the ocean with only a mild hope that you might get to Australia? I understand the need to perform security and quarantine checks on people before we let them into the wider community. But these checks can be done in days or weeks, not months or years. They can also be done on the Australian mainland, not a foreign country. To do otherwise is pandering to bigots, and that’s not something I want my country to be known for. Our honours system needs some work, as I’ve outlined above. We should have Knighthoods and Damehoods, as they are internationally recognised and bestow a fine honour amongst those people who deserve them. But we should have more conversation about who gets them. I think only Australian citizens should be eligible. I think only the Order of Australia council should be able to recommend to the Queen who gets them, with no political involvement from the Prime Minister or his office. It’s about time we changed our flag, too. The problem is, to what. I don’t have a solution here. Some people have suggested replacing the union jack with the aboriginal flag, but that then diminishes the contribution given by the British settlers to this nation. Far better, I think, to not acknowledge any particular race on our flag; we are all the same on the inside after all. I’m really happy with the trend I’ve been seeing in the last few years of having a “Welcome to country” by Aboriginal community representatives for formal events. I’ve even been to technical conferences where this has occurred! This seems to me to be a very subtle and inclusive way to acknowledge the history of the land on which this country is built. One thing that I don’t think is particularly helpful is a discussion about being a republic. There are actually far more important things to get fixed, and we can fix them without spending years fighting amongst ourselves over who gets to be our head of state. Whilst I’m not against a republic, and would probably vote for one if a referendum was held today, I think both the current Queen and her successors are doing a fine job. Whilst a lot of people dislike Prince Charles, I can’t figure out why: he spends a lot of time fighting for good causes. He’s an environmental campaigner, and I like that. 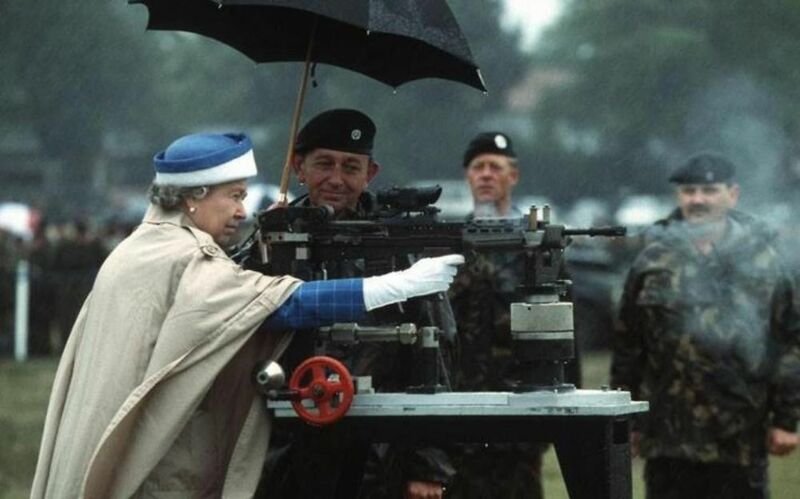 The queen, meanwhile, is pretty epic. Whilst it’s uncomfortable to talk about who we are, sometimes these discussions are necessary in order to better ourselves. Every citizen will never be equal (capitalism and human power struggles will team up to prevent that from ever happening). We should endeavour, in any case, to give every citizen equal opportunities, as far as we can. We need to make every person feel included in our country of Australia.